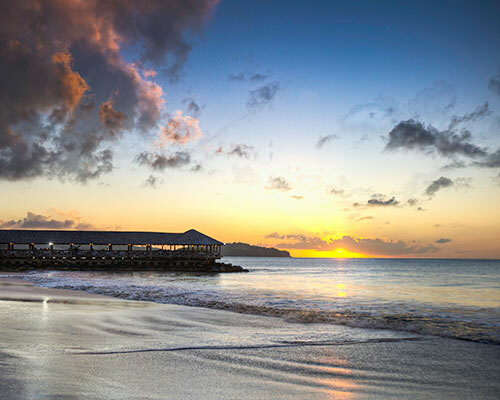 St. Lucia is home to some of the most spectacular settings in the entire Caribbean and boasts a variety of scenery to appeal to every visitor. Pristine beaches, unspoiled rainforests, volcanoes and waterfalls all occupy this island, which is home to friendly and accommodating locals. The majestic Piton mountains, which sit between the Atlantic Ocean and the Caribbean Sea, is the most photographed landmark on St. Lucia. Just one of the many attractions for adventurous travellers and hikers, looking to add to their all-inclusive, VIP Caribbean experience. Being among the most mountainous of the Caribbean islands, St. Lucia offers an array of outdoor activities including zip lining, safari tours, rainforest treks and gondola rides. If lone exploration is more favourable, there is bike and scooter hire available, or simply take off on foot. Animal-watching is a must; St. Lucia is one of the best places to score a rare sighting of exotic birds. For those hoping to explore more in the water, St. Lucia is known for its world-class scuba and snorkelling opportunities and experiences. The underwater mountains form caves and reefs, home to a plethora of aquatic life. Prefer to stay above water? Many water sports and activities are available, from parasailing to whale watching and the exciting variety caters to the entire family. Through the end of April and the beginning of May, there is the 12-day Jazz and Arts Festival. This is the Caribbean’s leading cultural event, which sees thousands of guests flocking to the island to watch world-class entertainment. Fly into Hewanorra International Airport. The airlines flying from the UK are British Airways, Virgin Atlantic, Fly Thomas Cook & Condor. St. James’s Club, Morgan Bay is 60 minutes from the Airport by taxi.